Meet the Sandvich, a San Diego Comic-Con exclusive piece of Team Fortress 2 history. ThreeA Toys' masterful creation is so limited you'll have to make an appointment to buy it. That's right, one does not simply walk up to a booth and ask for Sandvich. Sanvich asks to see you, and only after you set an appointment for purchase at ThreeA's Bambaland Store starting at 9PM Eastern. You'll pick the day and time to meet Sandvich, and at the appointed time it will become yours. 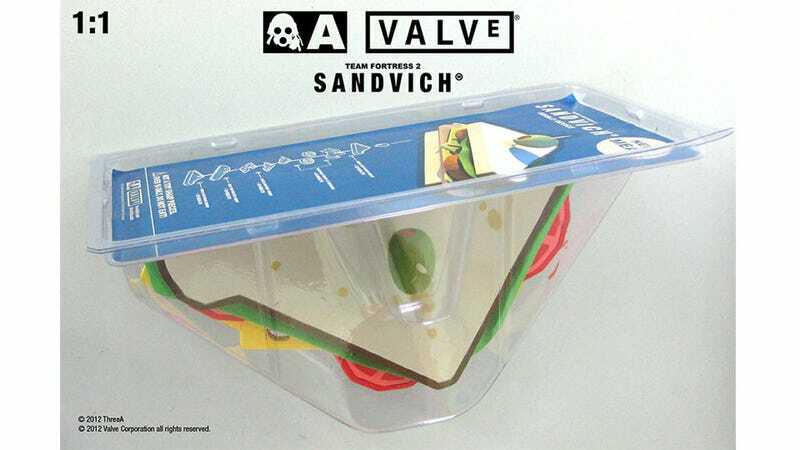 How much is Sandvich? This is silly question. You cannot put price tag on such majesty. Not until 9PM.